If you’re like most students, you probably took out student loans to help pay for your education. For some students, their loan debt is a never-ending nightmare that they don’t think they’ll ever get out of. There is, however, an option available for some students called student loan forgiveness – which means you don’t have to pay your student loans back. For students who meet the criteria, it can be an excellent way to stop pouring money down the loan payment drain. Let’s take a look at some different types of student loan forgiveness. An income-driven repayment plan is an option if you took out federal student loans to pay for your higher education, and are struggling to pay them back. Luckily, the government understands that some people may not be able to afford the high monthly payments that are often required of graduates. Whether you do not yet have a job, or have one that does not pay well enough to cover your payment, there are income-driven repayment plans that can ease the month to month burden of student loans. Students from a high school in Decatur, Ga. got the surprise of a lifetime last week. 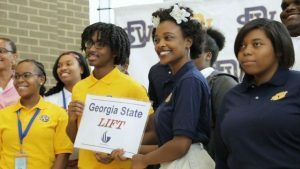 Southwest DeKalb High School gathered 14 scholarship applicants on April 18 to learn which one of them had been chosen as the recipient of the scholarship — they all believed there would be only one winner. See what happens next. 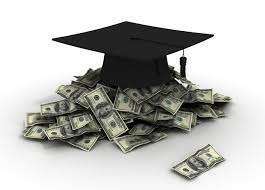 It is much faster and easier to search for college scholarships and grants than it was 20 years ago, before the Internet changed the process for finding information forever. Now you just need an Internet connection and a phone, tablet, or computer to find multiple resources for free money for college. 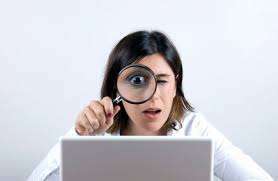 Here are five ways to search are all viable and every one of them is a potential gold mine. A TEACH grant is a federal grant that can be worth up to $4,000. ​At a basic level, students must agree to teach for four years at an elementary school, secondary school, or educational service agency that serves students from low-income families to receive this grant. There are other requirements for this grant as well, outlined in this article. 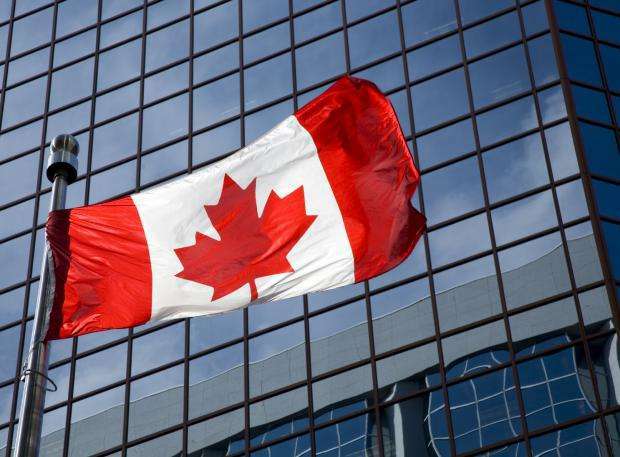 Ahead of the election earlier this month, Trudeau fleshed out these plans, which centred on increasing Canada Student Grants (state-funded bursaries for tertiary study) by 50 per cent to C$3,000 (£1,500) a year. Announcing the policy at Wilfrid Laurier University, he said that graduates would start repayment once they are earning at least C$25,000 a year. According to Statistics Canada, on average undergraduate students paid C$5,959 in tuition fees in 2014-15, so the grant would cover roughly half of the fees. What do you want to know about Pell Grants? Chances are, you’ll find the answer here! It’s a good source of school funding that you don’t have to pay back, so it’s a good idea to know what will qualify—and disqualify—you. Here’s one more way Charleston’s mayor says his community is fighting hate with love after nine people were gunned down in a church massacre: A $3 million scholarship fund. 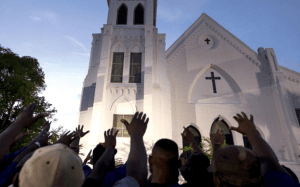 The Reverend Pinckney Scholarship Fund, created by anonymous donors and announced Thursday, will help the victims’ families and others affiliated with Emanuel African Methodist Episcopal Church, officials said. “What a tremendous opportunity to show the world once more and again that goodness of heart overtakes evil, and that we continuously show the world how we respond to a tragedy,” said the Rev. Dr. Norvel Goff, presiding elder at the church. Comedian and talk show host Stephen Colbert on Thursday announced he is giving back to schools in his home state of South Carolina — funding some 1,000 grants made by public school teachers on education crowdfunding site DonorsChoose.org. 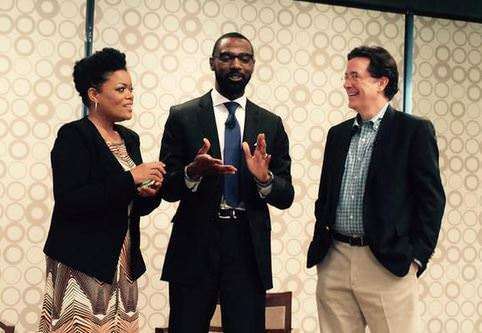 Colbert announced at a teacher’s panel in Greenville Thursday morning that he, along with organizations Share Fair Nation and ScanSource, are donating $800,000 to fund every one of the classroom projects listed by the site. complete education, develop job and leadership skills. The program helps young people who left school early to complete high school or state equivalency degree programs, and learn critical job skills in demand in the construction, health care, information technology and other industries.